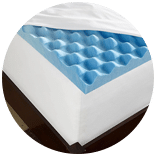 Our company provides mattress deep cleaning service solution that is available to all in Kuala Lumpur, Selangor and other parts of Malaysia such as Ipoh and Penang. You should keep your mattress squeaky clean to improve the quality of sleep. A sound sleep at night in a serene atmosphere is what everyone of any age dreams for. 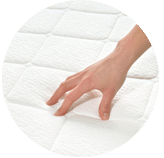 Keeping your mattresses stain-free, dust and dirt free and most importantly, bug free is very much important. It would cost your life, otherwise. Run the vacuum over and over again to locate and remove the bacteria, mites and critters that have made it a hideout to live and flourish. Deoxidize your mattress with baking soda to get rid of body odors which we hardly feel. Add liquid dishwasher in water and use a scrap cloth to rub it to get rid of the stains on the mattress. When you are done with the above three processes, every alternate week, turn the mattress upside down and repeat it. 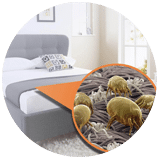 If you still have doubts that your mattress has blood stains, sweat, dust mite or even bugs, you can hire our pros for our mattress deep cleaning services. 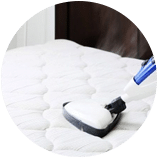 Our company has been in this service for a quite many years and has answers for all your mattress care and cleaning needs. 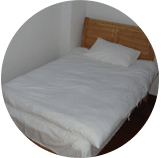 Our dedicated and friendly cleaners team are well-trained, and carry the latest special technology equipment for a high quality mattress cleaning work service. 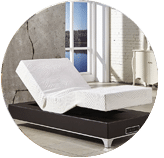 Our pro mattress deep cleaning and treatment services have distinguished name in this business because of the latest state of the art technology equipment and highly advanced techniques to clean your mattresses at your house. Our professionals will also be able to clean your pillows, mattresses, pillow cases, and any kind of stain upon request. Our staff is capable to remove coffee stain, blood stains, urine stains, and stains due to water seepage into the mattress to make it look like new again. 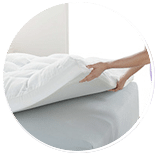 Our top residential mattress deep cleaner services is pocket friendly and reasonably priced for all our customers. Please ask for cheaper package prices especially if you are interested to clean several mattresses at a time at your location. So, all you have to do is to grab your phone right now and give us a call today to allow us to fix an appointment with you. You can tell us the exact service you want and we give you the quote at a good price. Once this process is over, our certified professionals visit your place for an expert mattress deep cleaning service. 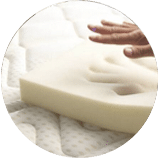 Our customer service team will reply to your request within a few working hours to find out more and discuss further about the mattress deep cleaning service that you require. 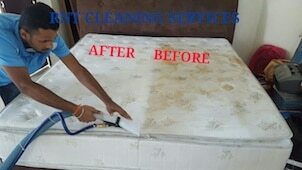 Subsequently, we will issue you a quotation and an invoice for the mattress deep cleaning service. Our mattress deep cleaning service is available in Peninsula Malaysia from Kuala Lumpur, Selangor, Ipoh, Johor, Malacca and Penang. Speak to our team to enquire more about the mattress deep cleaning service that we provide in your area. I have a special request for the mattress deep cleaning service, can this be done? We understand that sometimes our customer have special requests for mattress deep cleaning service with regards to timing and other matters. In this scenario, you can contact our customer representative team at 017-232-6491 to discuss your mattress deep cleaning request.